Falling on October 5th this year, World Teacher’s Day has been held annually since 1994 to commemorate education professionals around the world for their contribution in preparing future generations for success. Few professions touch as many lives as teaching, though this time of year is often so busy it is hard for many teachers to remember why, exactly, they decided to go into education in the first place. Teaching takes patience, creativity, a thick skin, and a whole lot of love. Return the love this October 5th by planning a very special flower delivery for your child’s homeroom teacher or the educator in your life. By bringing in a flower for each student to walk into the classroom with to hand to the teacher, you will help create a bouquet they will never forget. 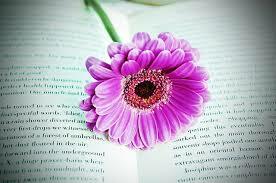 Here are 3 different stems that are hardy, affordable and easy to create a lovely bouquet with- one flower at a time. 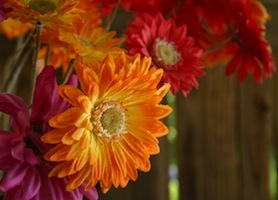 Bright, colorful and cheery, these stems are a little sturdier than they look and cost less than a dollar each. In flashy yellows, pinks, reds and oranges, these delightful daisies have a dark or yellow center and pretty petals that radiate outwards. Students will have an easy time with these leafless stems and a good florist can add a clear piece of a straw to reenforce the flower heads so they stay upright for many days after the special delivery. They look great in a vase of water on their own or you can add leatherleaf fern or other greens for your teacher’s desk. 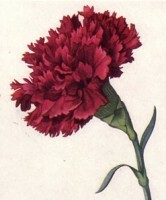 With new colors like purple and yellow, carnations are a long- lasting and lovely flower that hold up well in tiny hands. Along with the traditional pink, white and red, carnations can also come in stripped and two-toned colors these days as well. Consider handing the students all sorts of colors for a rainbow that is sure to delight. Alternatively, using all white carnations, the teacher can add a bit of food coloring for an impromptu science experiment later on in the week. 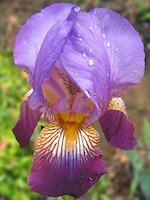 With thick, sturdy stems and plenty of colors to choose from, these flowers are also at their prime in the fall. 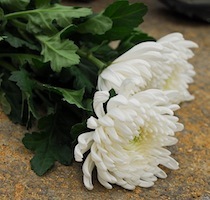 Sold in bunches of 5-10 stems for less than $5, chrysanthemums are extremely economical and will last for more than a week in a vase. Choose several bunches in different colors and pass out to students at the start of the day to hand to teacher when they walk in a room to make a bouquet that will absolutely make their World Teacher’s Day.